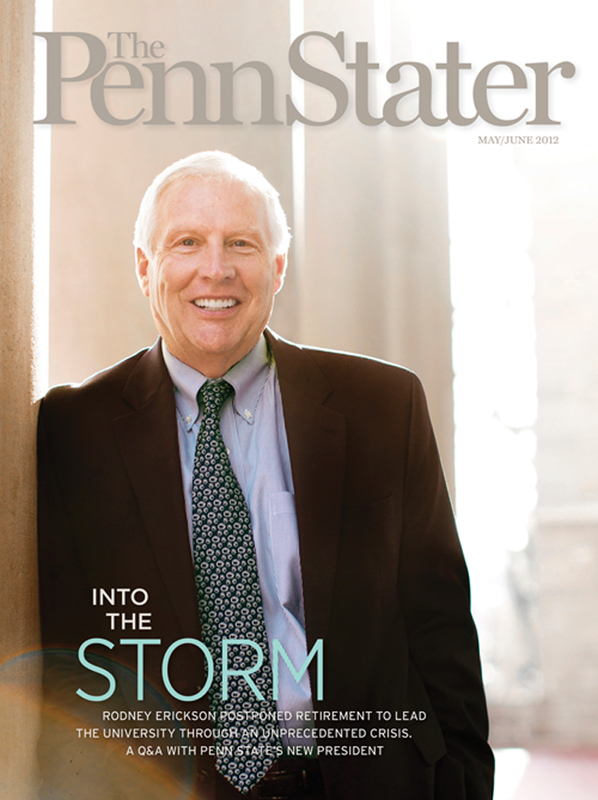 President Rodney Erickson on the cover of our latest issue. Describing something as “normal” isn’t always a good thing. But on the heels of two special, emotional issues — the Jan./Feb. coverage of the Sandusky scandal and the March/April tribute to Joe Paterno — our staff will tell you that the latest Penn Stater is a welcome return to business as usual. Though that’s not to say the May/June 2012 issue, which is already hitting mailboxes, is boring: There’s an in-depth Q&A with new Penn State president Rodney Erickson, who talks candidly about the challenges he’s faced since November; a feature about a breakthrough in leukemia research, discovered by two Penn State scientists; and a fun collection of concert memories submitted by our readers. Plus, you’ll find all the regular stories you may have missed these past few months. Let us know when you receive your copy. And as always, let us know what you think. Entry filed under: The Penn Stater Magazine. Tags: Rodney Erickson. Is it possible to get last months tribute to Joe Paterno issue in its entirety on line?